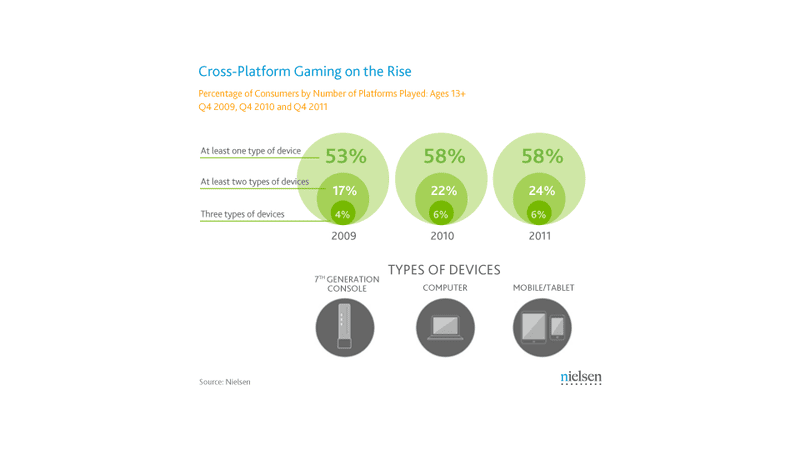 Over half of homes in the United States own current-generation gaming consoles, according to a survey put together by the Nielsen Group and released today. That's up six percent from last year. The Web is increasingly important in generating awareness for game launches: Gamers are spending more time on the Internet outside of gaming and ad spend is shifting from print to digital for top games and consoles. In other words, gamers are spending lots of time on Kotaku. Excellent.